As a premier undergraduate program in Insurance and Risk Management, we prepare our students for leadership roles in their professional careers. In fact, our program is a direct result of partnerships with those in the industry. Our students network with industry representatives through internships and real-world experience, and they are prepared to work as underwriters, risk analysts, consultants, brokers, claims adjusters, actuaries, or in other risk management or insurance professions. 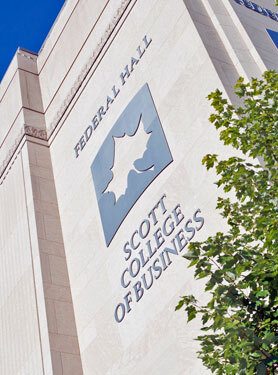 The Scott College of Business’ Insurance and Risk Management Program began its path toward distinction in 1988. Through development of a rigorous curriculum, significant partnerships with industry leaders, and a strong commitment to experiential learning beyond the classroom, we have become nationally known as a premier undergraduate program. We are proud of our nationally recognized Insurance and Risk Management Program. In addition, Networks Financial Institute has been named and recognized as an Indiana State University Program of Distinction. Students who major in Insurance and Risk Management complete a comprehensive base of liberal studies and business courses, in addition to an exceptionally broad range of challenging course work in the professional area of insurance and risk management. This speaks volumes about our students and the experiences our program provides. Smith has led the Scott College since 2012. Details about the search for a new dean will be announced soon. 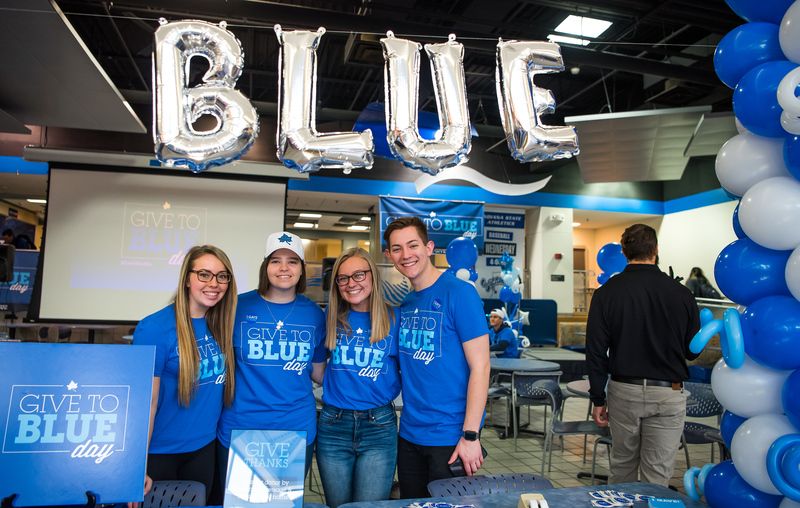 Goals were overwhelmingly met with 1,691 donors -- from Terre Haute to Australia -- contributing $436,243, making it the largest single-day fundraiser in university history. WCISBDC - Website In a Day!